John Psathas is a New Zealand freelance composer and teacher who, at a relatively early stage in his career, has established an international profile and receives regular commissions from organisations both in New Zealand and overseas. His works are championed around the world by a growing number of leading international artists, one of the most consistent of whom has been the Scottish percussionist Evelyn Glennie. Initially making a name for himself as a composer of high-energy percussion music, more recently the composer has concentrated on a series of larger-scale concertante works. A major career highlight to date has been the commission to compose the ceremonial music for the opening and closing of the 2004 Athens Olympic Games. 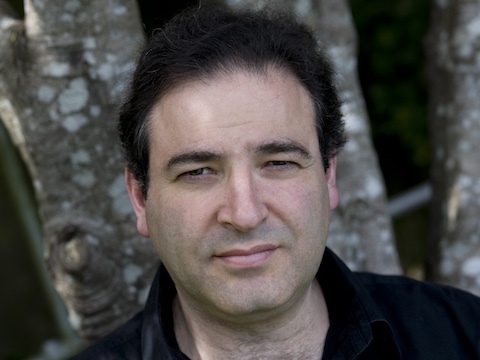 In 2005 John Psathas was created an Officer of the New Zealand Order of Merit for his services to music. Between Zero and One Strike Percussion Ensemble and John Psathas have teamed up for a new music and visual performance show titled 'Between Zero and One'.